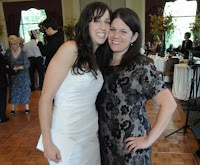 As four of us sat having a lazy Sunday brunch at the Westlake Village Inn, the venue for Saturday night's wedding, Shiri commented that she felt like our parents. Going to weddings, dancing the horah, staying over, and meeting up for brunch the next morning before check-out. Yes, my friends, nothing makes me feel like more of a grown-up than wedding season. 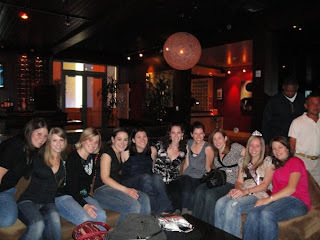 Between bridal showers, bachelorette parties and weddings galore, it seems every weekend there's something to celebrate...and i'm okay with that. 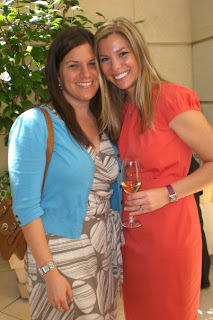 The season started out with a bridal shower for my dear friend Rachel at the Peninsula Beverly Hills. Rachel and i met in 1997 at a summer leadership camp (CLTC whatttttt!) and have been friends ever since. She would come out to sunny California to visit me on spring break, and always raved about the beach and my mom's cooking. now she's living the life in los angeles and enjoying the sunshine daily! Speaking of feeling like our parents, her bridal shower involved high tea, strawberries and cream and finger sandwiches while enjoying the hotel's garden and champagne cocktails. Rachel is one heck of a hostess and I loved celebrating her fairytale love story! (girl slips on black ice in upstate new york's dead of winter, boy comes to the rescue to carry her home with a twisted ankle, and they fall in love... blah blah blah!) She's marrying Christian this summer in Hamburg, Germany. Then comes Beth. Beth met Mike in the high school band and they've been together for 10 years. Mike was a big part of our college years together and endured many drives down to La Jolla from the San Fernando valley to see beth on the weekends. bless his little heart. We got wild and crazy for her bachelorette party last month, and celebrated the two lovebirds at a beautiful wedding this past weekend. In between bridal showers and bachelorettes, todd and i ventured to the east coast for a whole week together. the trip was centered around aviva and pj's wedding in tarrytown, new york. aviva is my closest friend from March of the Living. We basically met at Auschwitz so it's no wonder we have a tight-knit bond that i hope will last for many years to come. their wedding was one of the most spectacular i've ever been to. the cocktail hour itself would have justified our entire journey! i wish all these girls and boys a lifetime of love, happiness, and many many babies together! next up... dad's 60th birthday!